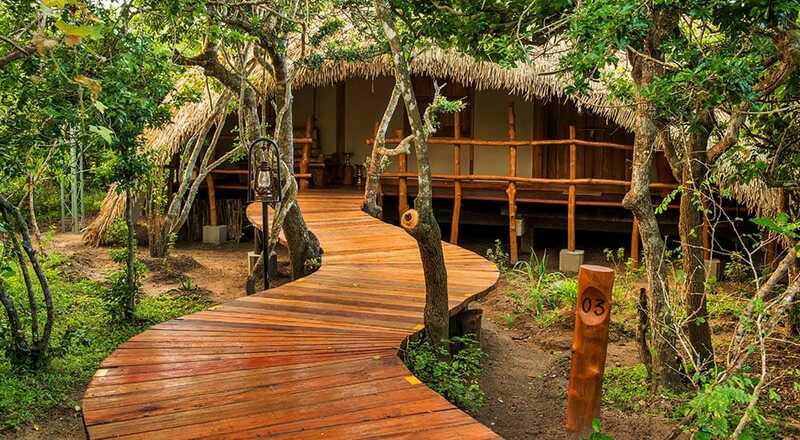 Chena Huts by Uga Escapes focuses on exclusivity and privacy in order to intensify a true wilderness experience like none of the other five-star hotels in Sri Lanka. 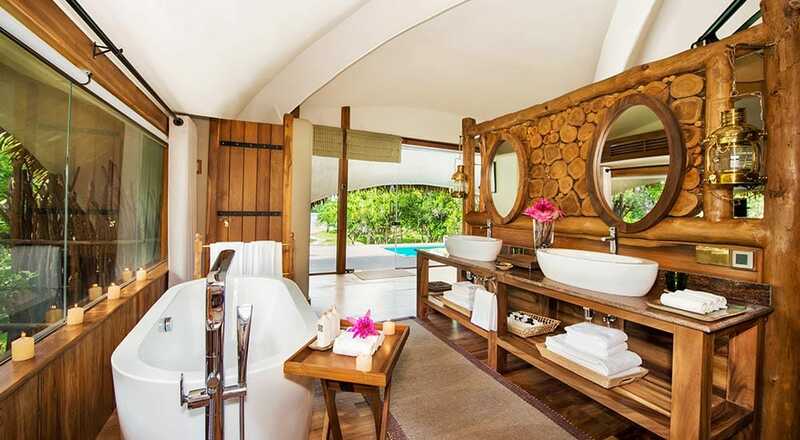 It is a spacious 7-acre property, but accommodates just fourteen luxurious 1130sq-ft guest cabins. 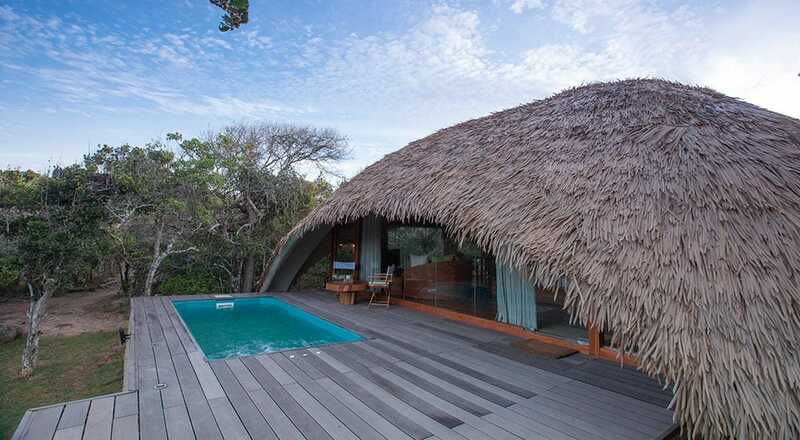 These cabins include 781sq-ft, climate-controlled, living spaces as well cabin exteriors that feature design cues from the region’s vernacular architecture. 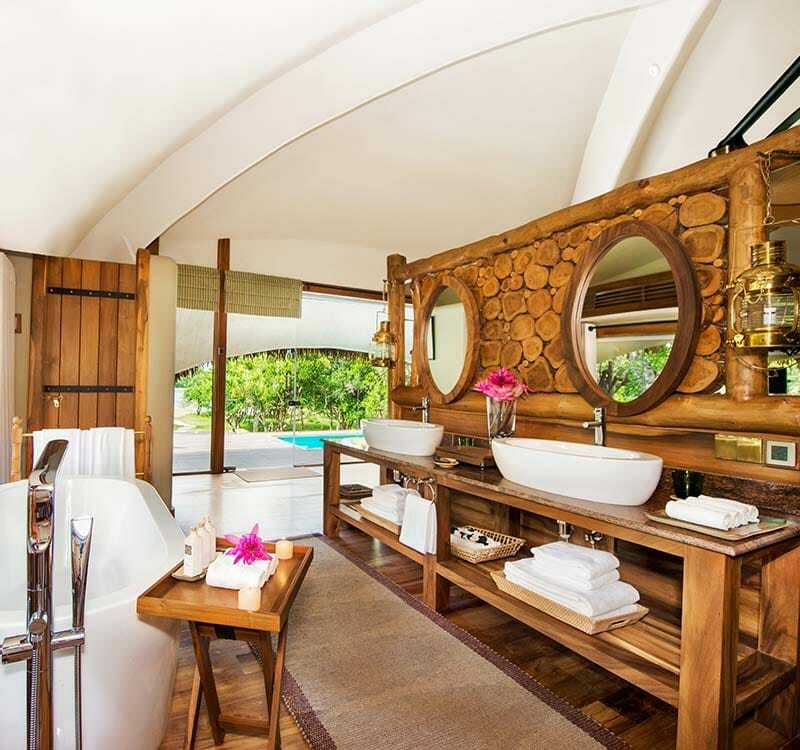 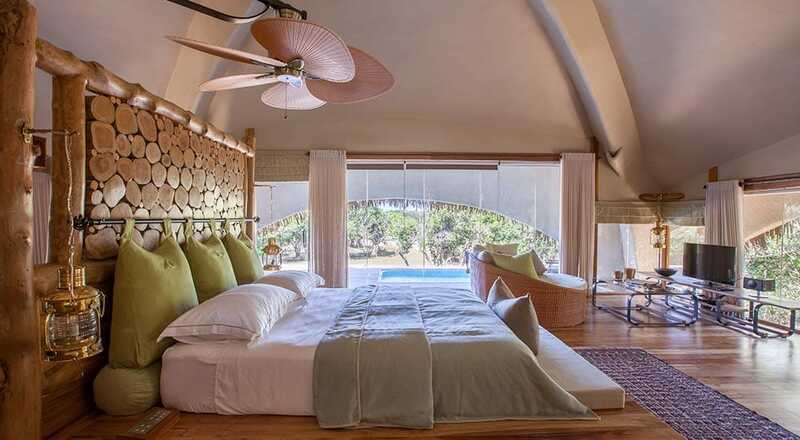 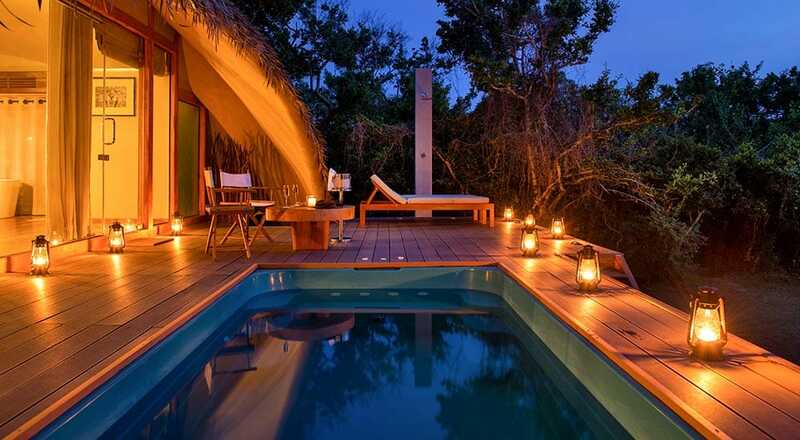 These abodes are designed in harmony with its wild environs while the interiors subtly highlight safari themes, featuring log furniture and African-style rustic motifs that belie the ultra-modern creature comforts afforded within. 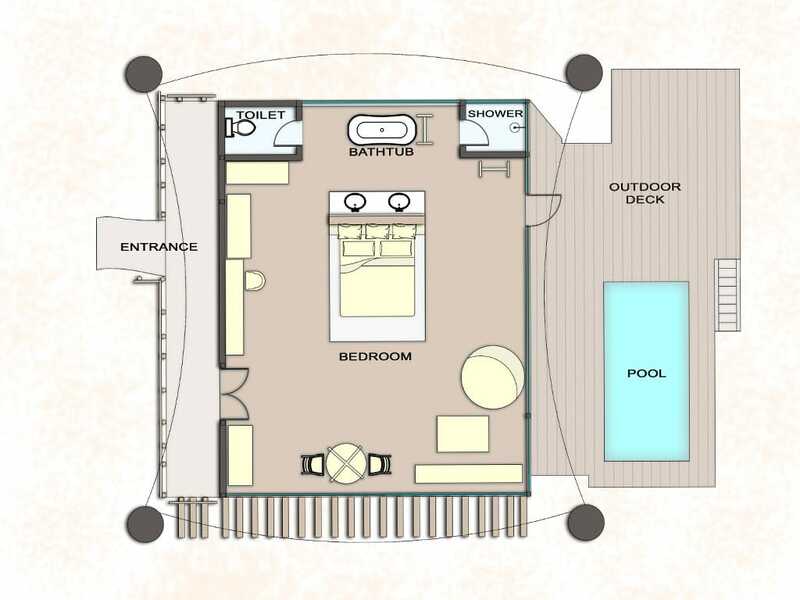 These well-appointed cabins contain spacious living areas, cosy bedrooms, en suite private bathrooms featuring free-standing bathtubs and twin vanity controls, as well as shaded outdoor decks with built-in private 5m plunge pools. 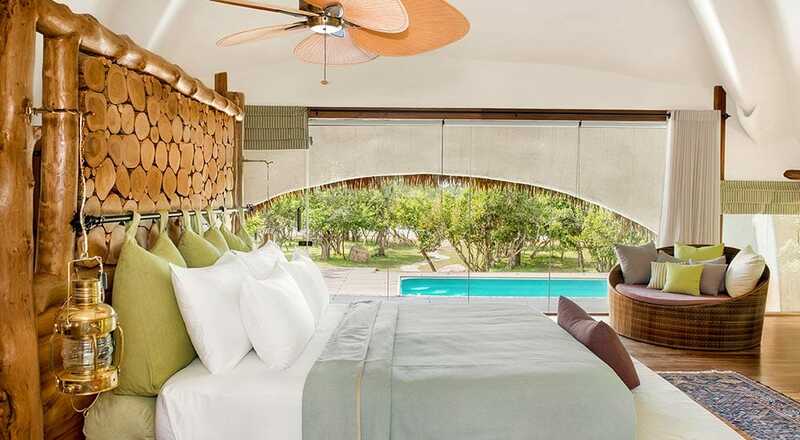 These lavish dwellings are also equipped with variable-intensity central lighting, a 42” LED TV, minibar, tea and coffee and daily housekeeping facilities.